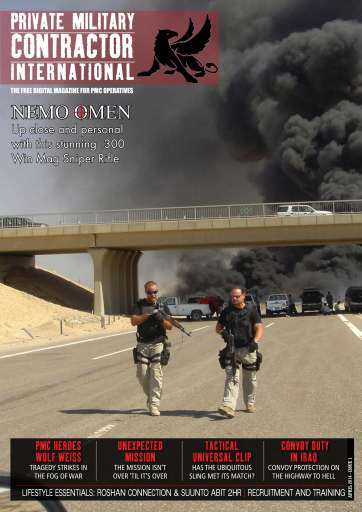 Private Military Contractor International is a digital magazine specifically for PMC Operatives and companies involved in the Private Military and Security sectors. Written by individuals with many years of experience in their particular field, each issue will contain a mix of product reviews, news and general interest features, as well as social and lifestyle articles. The Pre-Launch sample is a small representative example which provides a small snapshot of what future editions will contain. Like all future issues of Private Military Contractor International, the sampler is free of charge to the reader.